operation must remain sustainable without the need for any intervention. 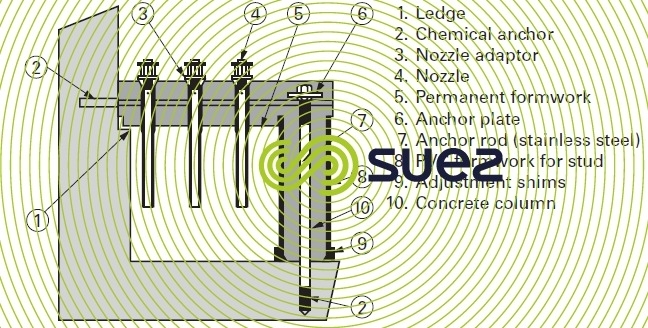 degremont® nozzle floors have been designed to satisfy all these criteria. a single [monolithic] reinforced concrete slabé. 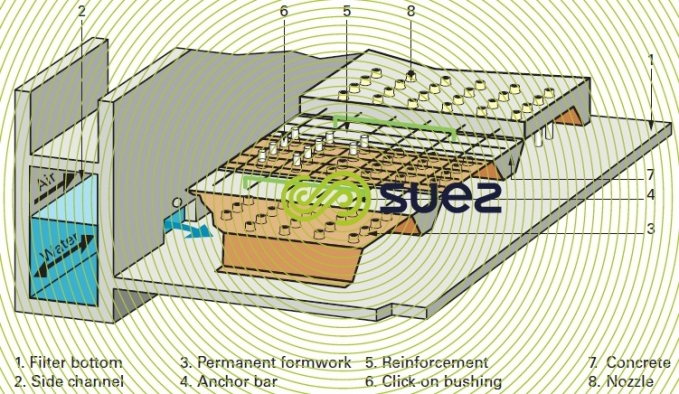 SUEZ has developed two versions of the single concrete paver (figure 3), floor where the slab is cast over polystyrene permanent formwork, and the Polyfloor floor (figure 4) where the slab is cast over permanent shuttering concrete slabs. Single slab floors have the advantage of a simplified construction without any seal. When access beneath the floor is not required, the floor can be positioned in the bottom of the filter. 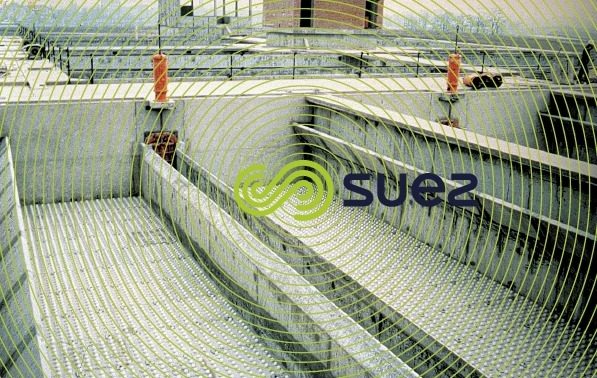 The Azurfloor floor (figure 5) is a concrete floor that is cast on permanent formwork that is laid direct on the filter floor. Equipped with the same nozzles as other degremont® floors, the Azurfloor has the same hydraulic properties. The Azurfloor has the advantage of being very easy to install and is totally free of any seal. Its modular construction and shallow depth make it ideally suited to the refurbishment market.